Homeowners may be under the false impression a short sale is better than a foreclosure when it comes to the impact on credit scores. This is simply not the case. In a short sale, the lender agrees to accept an amount which is less than the amount owed on the property. 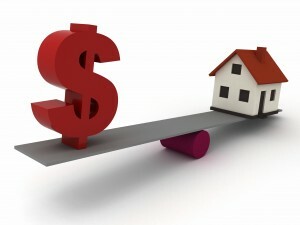 There is insufficient equity to sell and pay the costs of a sale. The homeowner is basically selling the home at a loss which is why many lenders will not negotiate a short sale. In most cases the lender will forgive difference. The word “short” in short sale may imply a quick resolution for homeowners in distress; however, the process can be long and rather complicated. Homeowners contemplating a short sale should always seek the advice of an experienced real estate agent and/or a real estate attorney to guide you through the process. Short sales are typically handled through the homeowner’s loss mitigation department and with the current housing crisis; most mortgage company loss mitigation departments are overwhelmed. What a Short Sale Does to Credit Scores? In 2010 Fair Isaac, the creator of FICO scores, released a report which revealed estimates of how credit scores are affected following mortgage delinquencies. The average points lost on a FICO score for a Short Sale, Foreclosure or Deed-in-Lieu of Foreclosure is 85 to 160 points. The range in points can be attributed to the many variables making up a credit score. A consumer with a fair to average credit score may see a drop of 85 points. Consumers with good to excellent credit will see a steeper drop, up to 160 points. This is one of the many quirks of the FICO scoring formula in which consumers with bad, fair or average will see less of a point decline for negative information as opposed to consumers with above average to excellent credit. Giving up your home in short sale is no doubt a hard choice for homeowners. Financial difficulty can be devastating. But there is hope for home-ownership in the future. In July 2010, Fannie Mae, the government mortgage giant, announced the waiting period for purchasing a new home was reduced from a 5 year waiting period to just 2 years. Borrowers who had previously experienced a short sale must have a minimum of 20% down payment unless the short sale was due to a financial hardship such as loss of job or health issues. FHA’s guidelines for a seller who does a short sale but was current may qualify immediately to purchase another home. But lenders may not be comfortable following those guidelines. In order to qualify the seller must have kept the payments current, had no delinquent accounts over 30 days and did not agree to pay the deficiency caused by the short sale. The probability of finding a lender who will finance you that quickly is low. If you were in default at the time of closing a short sale the FHA’s waiting period is 3 years.